Nasa is betting on advanced solar-electric propulsion technology to explore the outer reaches of our solar system. In a step towards that goal, the space agency today awarded Aerojet Rocketdyne of Redmond, Washington, a $67 million contract to help develop the technology. The Advanced Electric Propulsion System (AEPS) contract will design propulsion systems for the robotic portion of Nasa’s Asteroid Redirect Mission (ARM) as well as missions to Mars. This will include the development of ion drives and Hall thrusters that could potentially increase spaceflight transportation fuel efficiency by 10 times over current chemical propulsion technology, according to Nasa. It could also more than double thrust capability compared to current electric propulsion systems. 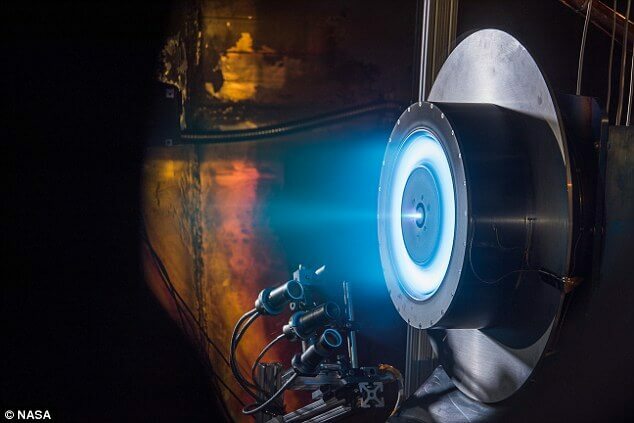 ‘Through this contract, Nasa will be developing advanced electric propulsion elements for initial spaceflight applications,’ said Steve Jurczyk, associate administrator of Nasa’s Space Technology Mission Directorate (STMD). ‘[This] will pave the way for an advanced solar electric propulsion demonstration mission by the end of the decade. Aerojet Rocketdyne will oversee the development of an electric propulsion system consisting of a thruster, power processing unit (PPU), low-pressure xenon flow controller, and electrical harness. Nasa has developed and tested a prototype thruster and PPU that the company can use as a reference design. The company will construct, test and deliver an engineering development unit for testing and evaluation in preparation for producing the follow-on flight units. During the option period of the contract, the company will develop, verify and deliver four electric propulsion units that will fly in space. This work will directly complement recent advanced solar array systems work, also funded by STMD. Solar Electric Propulsion (SEP) uses solar energy from solar arrays converted into electricity. Electricity is then used to ionize and accelerate propellant to produce thrust. Nasa anticipates the electrical power to operate this advanced electric propulsion flight system in space will be generated by solar arrays using structures similar to those that were developed under the solar array systems contracts. 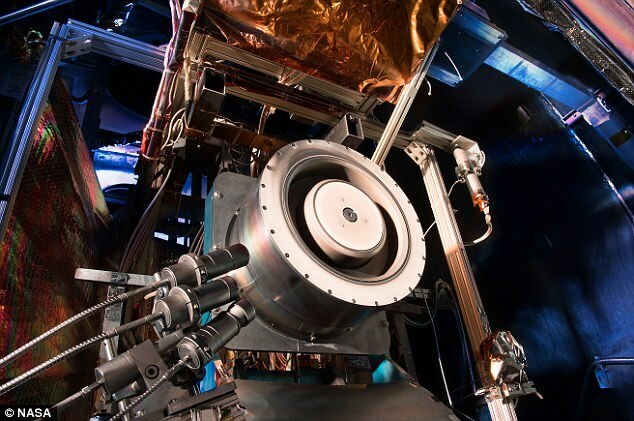 The space agency has been refining development of spaceflight electric propulsion technology for more than five decades, the first successful ion electric propulsion thruster being developed at Glenn in the 1950s. The first operational test of an electric propulsion system in space was Glenn’s Space Electric Rocket Test 1, which flew on July 20, 1964. Since then, Nasa has increasingly relied on solar electric propulsion for long-duration, deep-space robotic science and exploration missions to multiple destinations, the most recent being Nasa’s Dawn mission. The Dawn mission, managed by JPL, surveyed the giant asteroid Vesta and the protoplanet, Ceres, between 2011 and 2015. The advanced electric propulsion system is the next step in Nasa’s Solar Electric Propulsion (SEP) project. ARM, Nasa’s mission to capture an asteroid boulder and place it in orbit around the moon in the mid-2020s, will test the largest and most advanced SEP system ever utilized for space missions.